For any of you that read my posting last week, you know that I am hanging around here on the North Island of New Zealand, and all forward progress has stalled once we arrived here at Whananaki. 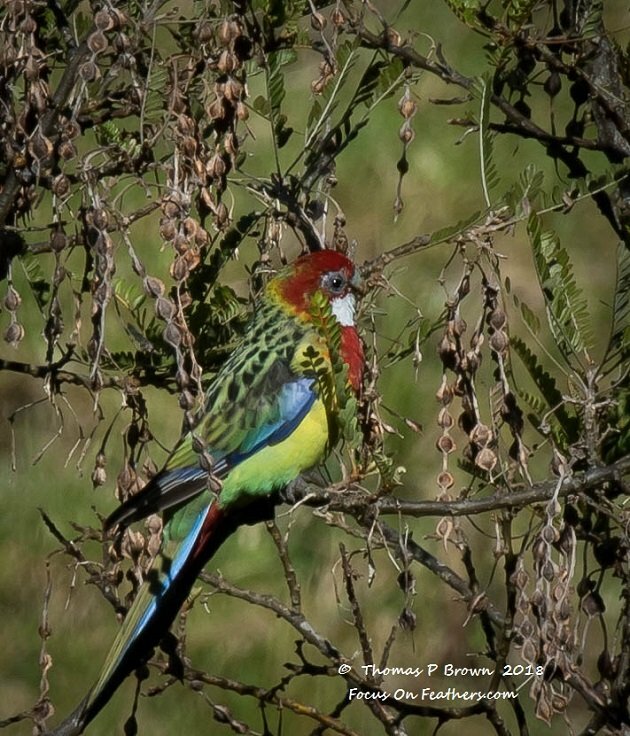 The country side is beautiful, the weather has been very pleasant, and there has been a very nice bunch of birds to keep me from getting itchy feet. 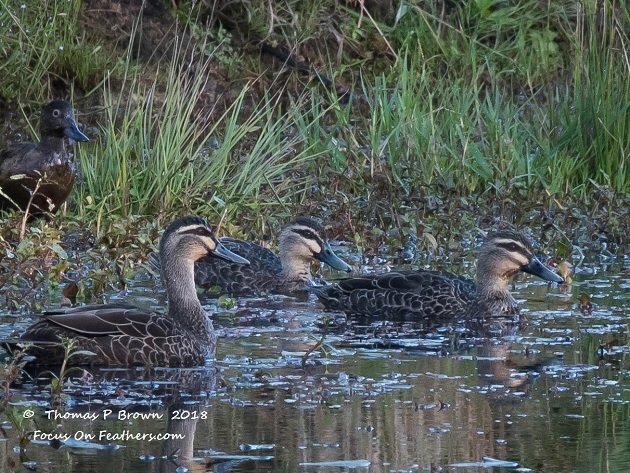 If there was nothing more than the large group of Brown Teal here, it would be enough to keep me around for a while. They have cooperated nicely with my photographic endeavors, giving me great shot after great shot. Here are a few of my favorites from the last few days. New Zealand is really not over populated with owls, but they do have a great little bird, called a Morepork, or Southern Boobook. The locals have given it this names, as it is a very accurate description of its nightly call, a very clear, ”more pork!” There has been one living right above the area we are staying in, and it calls every night, but I will be darned if I can locate it. This diminutive bird is very hard to locate; especially given the thick brush this one seems to favor. 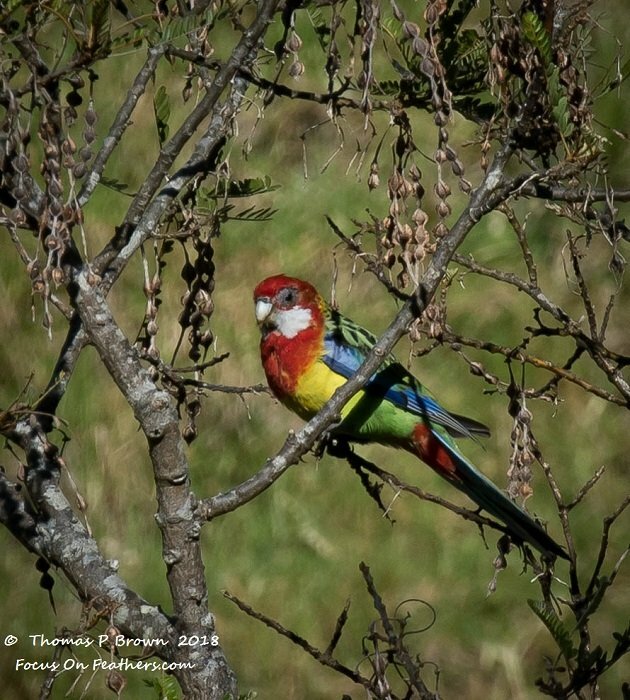 Another bird that had been giving me fits, with regards to getting a decent photo have been the Eastern Rosella. Every morning, I would get a squawk, and see a bright green and blue flash over my head, and off to the top of another tall tree. By Monday morning, I finally had them scoped out, and was ready for their brief appearance. Of course, this was the morning they choose to just pop right out and sit there! Oh well, I got my shot, and feel like I earned it. On Friday morning, we had a great friend and property owner, Ken Stephenson, offer to take un on his boat, out to the Poor Knight Islands. This is about a 15 mile run, from the beach house we were staying at, and what with the boat being anchored right in front, was just a matter of getting everyone ferried out to the boat. For most of the family, the boat was about seeing the incredible islands, and doing some fishing. For me, it was a chance to get off shore for some new birds, and, well, OK the fishing was pretty high up there too. 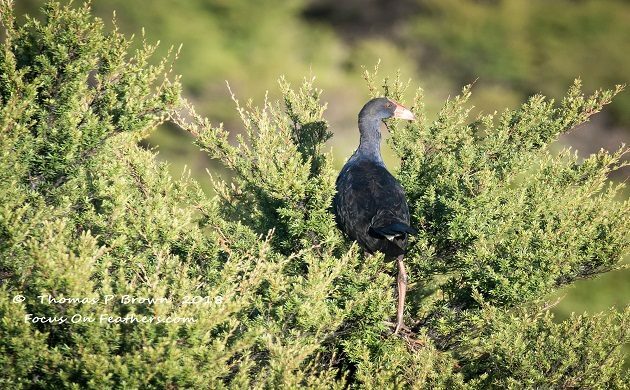 Australian Gannets, Black Petrels, Flesh-footed Shearwaters, Buller’s Shearwaters, Sooty Shearwaters, and several Fairy Prions were all around the boat several times. And just for the record, we caught a nice bunch of snapper and trevally for dinner that night. 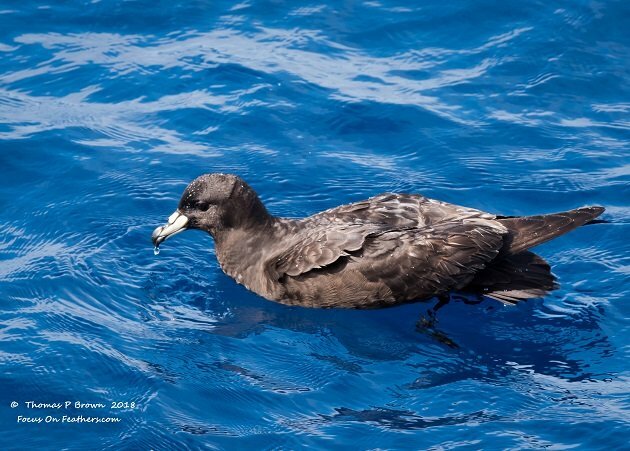 Here is a picture of the Black Petrel, also known as a Parkinson’s Petrel. 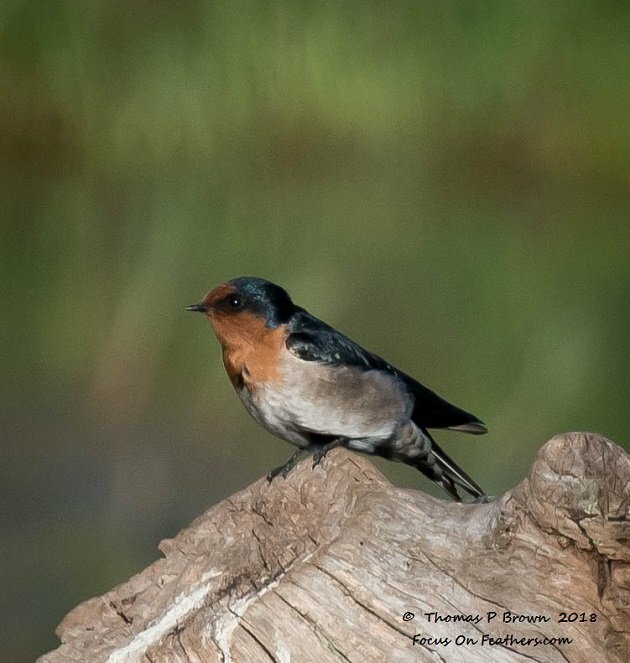 While there are a few swift, martins and swallows that are considered rare in occurrence, the one swallow that is quite common is the Welcome Swallow. 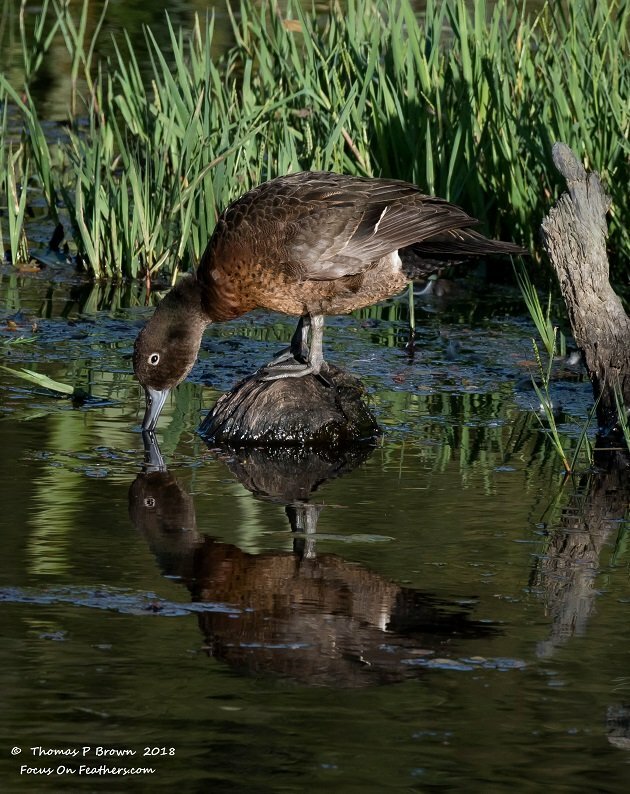 Here is one found resting on a log end, near the Brown Teal Pond. 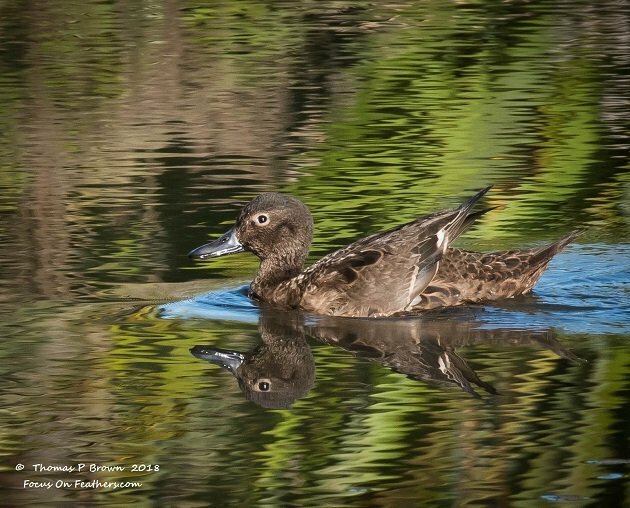 New Zealand has what is considered to be a relatively rare bird, in the Gray Duck. 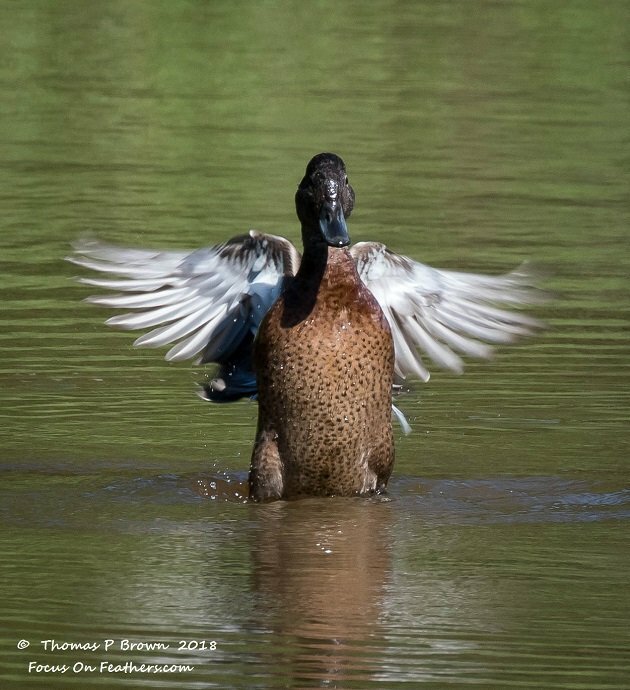 Turns out, this is the same bird as our American Black Duck, and much like the US, there are fewer and fewer actual pure Gray Ducks. The have a habit of cross breeding with the local Mallards, and so many of the local New Zealanders call the Grayllards. 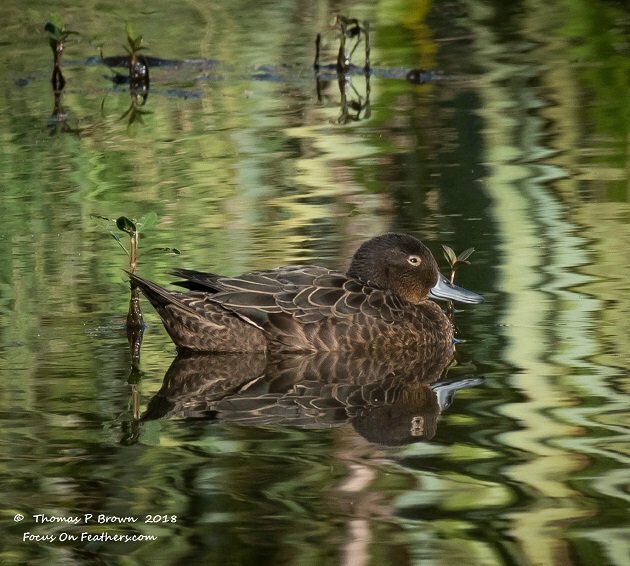 Here on the pond, along with the Brown Teal, and a pair of Paradise Shelducks, are three, what appear to be pure Gray Ducks. We will be back on the road tomorrow, so I am posting this a few days early, just make sure, as I am not to sure of my Wi-Fi in the next couple of days. So, as of 4-10-2018, New Zealand Time, the Little Big Year count is 292, with 98 New Zealand birds, and 88 new lifers! Next report will be form the far north end of the Island.